Optimize your thermal processing operation with first-class engineering and design. From product quality, yield, and maintenance to cleaning, energy efficiency, and equipment longevity, optimal processing is the mainstay of your operation and the benchmark of ours. That’s why CPM Wolverine Proctor is your total processing solution. 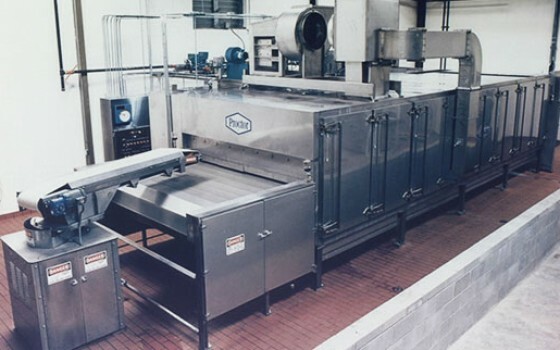 We offer the world’s best processing equipment designed specifically for the unique needs of the food, chemicals, tobacco, and fiber equipment. With over 200 years of industrial experience, we’re the original inventors of Jet-Tube handling technology, which has helped make us the global leader in customized processing solutions and unique application technology. Our tech centers are maintained in both the USA and the UK, and our broad base of industry crossover knowledge means our insight and engineering expertise will both smooth and shorten your development process. CPM Wolverine Proctor conveyors, dryers, and coolers are the result of years of production experience. Whether it’s a two-foot wide (0.6m) unit drying an expensive pharmaceutical product or a 14-foot 6-inch (4.4m) wide machine producing product at a rate of 100,000 pounds per shift, our components and configurations are expertly selected to meet your production requirements. High Capacity Jetzone technology, originally developed by CPM Wolverine Proctor, comes together with state-of-the-art design to give you the highest performance, highest-capacity, highest-quality dryers/puffers/toaster equipment available today. 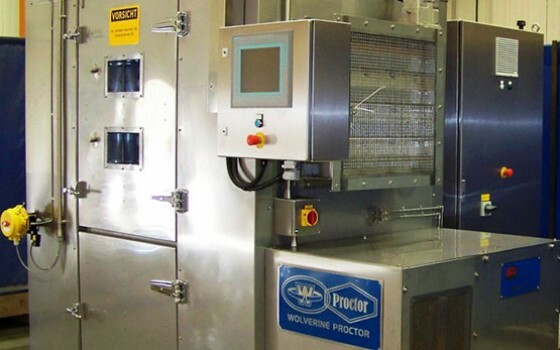 CPM Wolverine Proctor’s high-capacity ovens uses advanced technology to ensure uniform air circulation, efficient heat transfer, and excellent temperature uniformity for rapid, uniform baking of almost any product through any process. Our range of bake ovens and grills are designed and built specifically for your operation, giving you efficiency, reliable output, and longevity of your operations. With our uniquely targeted test lab equipment, you can benefit from product development and testing done right in your own plant. Wolverine Proctor offers portable test units designed to provide optimum flexibility for direct scale-up of your process to production size equipment. Assembled to meet your specific processing needs in custom configurations, we help you get the lowest cost possible for long-term reliability. Engineered and designed for efficiency and future expandability, our high-capacity flaking and shredding machines ensure superior throughput while maintaining consistent uniformity and product quality. 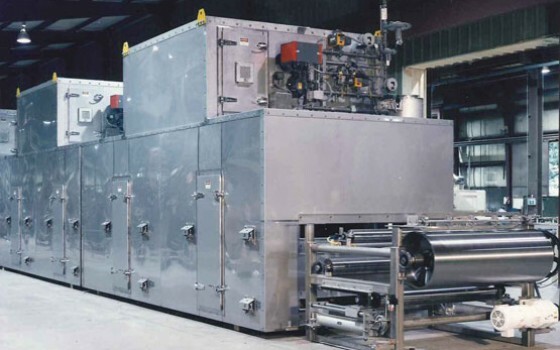 Our long history of manufacturing machinery for the textile, food, and chemical industries means our drum, truck, tray, and loop dryers and tenters are packed with features and have been designed for quality product output at maximum efficiency. From blending, conditioning, and threshing to redrying, packaging, and quality control, CPM Wolverine Proctor’s tobacco equipment sets the standard across the industry. Reliable output at every stage and cost efficiency means your operations are profitable and sustainable. 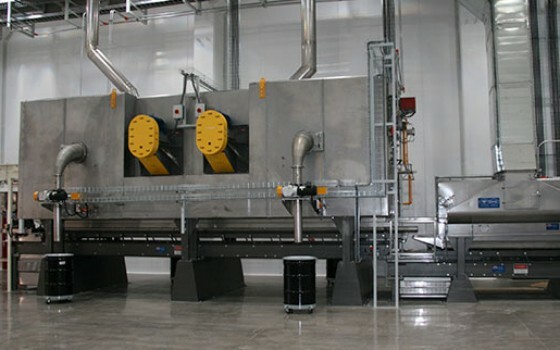 CPM Wolverine Proctor’s “Lauhoff” batch cooker delivers consistently cooked, milled, or whole grains necessary for the production of high-quality breakfast cereal flakes. We deliver uniformly mixed and evenly cooked cereal grains with the highest degree of automation and sanitation available in the marketplace today. For quality food output that stands out. You know only too well that what goes into your food processing operation is what comes out. 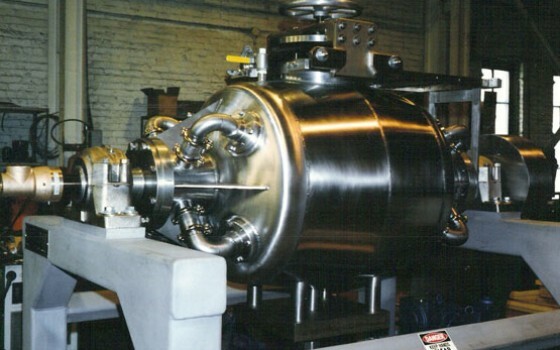 That’s why our precision engineering and advanced processing technologies are designed to meet the production needs of your unique food processing applications. We fit directly into your system, ensuring optimal efficiency and the highest-quality end product. For your unique chemical processing operation. Your chemical processing operation is unique. Whether it’s dehydrating, heat setting, sintering, hardening, sulphurising, tempering, chemically modifying, gelling, curing, annealing, brazing, cooling, calcination, reacting, expanding, or sterilizing, you need chemical processing equipment that is efficient, reliable, and cost effective. In every chemical application, CPM Wolverine Proctor equipment is precision engineered to meet your specific operational needs and fit directly into your complete processing operation. For tobacco products that are the best in the world. You want to produce the highest-quality tobacco product in the world today, so you need the most innovative technology, incorporating the latest process knowhow, working for you. 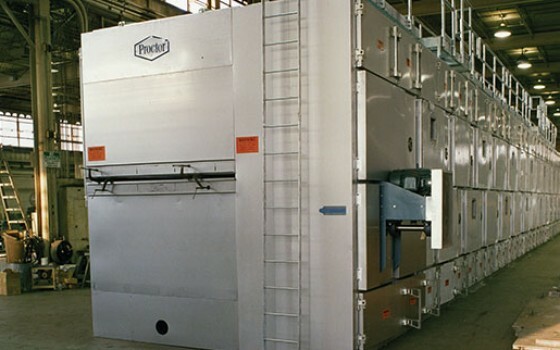 At CPM Wolverine Proctor, our dryers are designed to meet the specific needs of the individual tobacco processor, while driving efficiency, quality, and profitability. From green leaf threshing to the final manufacture of consumer products, we offer tobacco processing equipment that is the best in the world. For fiber production with long-term efficiency. You need efficiency in your fiber processing operations to stand out amongst your competition. At CPM Wolverine Proctor, our dryers, curers, and agers have been generating profits for our textile fiber customers for more than a century. 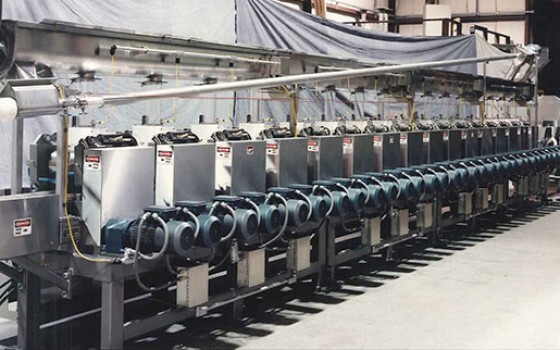 Our fiber processing lines dry, cure, and laminate at the lowest operating costs possible, with long-term reliability so you can focus on being the best. Your CPM Wolverine Proctor equipment is built to last and, with periodic maintenance, will give you years of trouble-free operation. But when the time comes, our field service engineers and technicians are experts in installation, start-up, maintenance, and trouble-shooting for all of our product lines. From preventive maintenance procedures and schedules to identifying parts that should be replaced or stocked, our team will help fine tune the operations of your machinery, increase your production capacity, help you improve quality output, and minimize costly down time. Whether it’s confidential product development trials, replication for optimization of existing processes, or development of new processes, CPM Wolverine Proctor Tech Centers are staffed by skilled, experienced engineers and process technologists to test your products and discuss your needs. 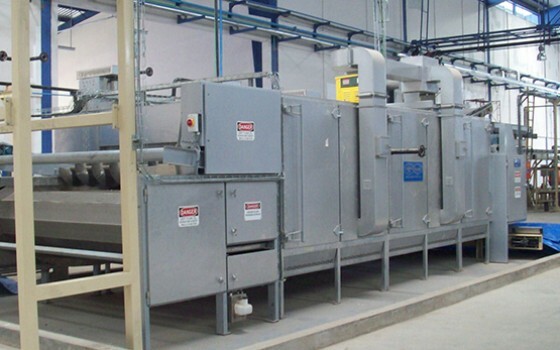 Our extensive inventory of pre- and post-drying equipment offers you continuous as well as batch testing and the evaluation of a wide range of products and materials. Our international sales, manufacturing capabilities, and worldwide network of after-sales support means CPM Wolverine Proctor is everywhere you are. With over 200 years of experience, we’re the industry standard in the food, tobacco, fiber, and chemical industries. Our first-class engineering design capabilities in thermal processing and our turnkey capability in cereal production and snack processing lines puts us at the forefront of processing technology. For expertise and advice, contact a specialist.